I was a relative late-comer to the world of modern personal computers. Even though I went to school for electronics and computers back in the late 70s and early 80s, the technology was in its infancy at that time. The most modern microprocessor was the Intel 8080A; an 8-bit processor that you can still occasionally find in sprinkler system timers and like contraptions. In school, we learned to program the 8080 using octal machine code on a 0-9 numerical keypad. The output of the programming was displayed in blinking red LEDs. Spiffy stuff here, folks. All joking aside, even this obsolete CPU was light years beyond the contraptions they used for computers in the Apollo lunar landers, so I guess we were making progress. 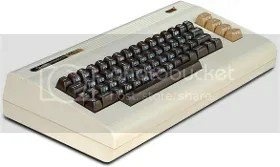 A couple years later, a bud dy of mine went out and bought himself a cool Commodore VIC-20 home computer system; complete with cassette tape drive and a solid epoxy-sealed power supply that could have doubled as a boat anchor. This system had an amazing 20K or RAM available. Of course, once you booted up, you lost a 1/4 of that to the operating system. A bit later, he upgraded to a Commodore 64 system… a vast improvement, actually. It still used the same boat anchor for a power supply, though. We spent hours munching pizza and playing Zork* on that 64 system. Remember Zork? It was a 100% text-based adventure game created by a company called Infocom. I don’t know what those guys were smokin’, but the games they created were a blast to play. We literally wasted our lives away playing these games till all hours of the night and then showered and went to work in the morning. You wouldn’t believe the money we were spending on pizza, soda, and Marlboro while this was going on. FUN! In ’93, I took a brief hiatus from my electronics career to go to work with my brother. He was/is a contractor/developer here in Florida. He had just started a major new residential home project and needed some help with getting odds and ends organized. I’m the organizer. I’m good at it. A place for everything and everything in its place. Anyway, one morning I walked into the office and there was a nice new 486 DX66 computer sitting on my desk. It was loaded with an operating system from some new company called Microsoft. The OS was called Windows 3.1. It was slicker than snot on a glass door knob. The only thing I had seen that was even close to its coolness was the Commodore Amiga’s windows-type OS. I had some fun with that computer. I stepped away from computers for a while after that and went back into my analog electronics service world (RF communications and audio). I didn’t get back in touch with computers again till spring of 2000. My brother went out and bought himself a brand new system. He asked me if I’d like to have his old Pentium I computer. “Sure,” I replied. This was the beginning of my “modern” computering. I spent hours and hours online at USENET Newsgroups and forums/boards of all types. I’ve always been a forum junkie. I tinkered. I learned. I built my own systems. I name them “ericsbane”. It’s appropriate. In the summer of ’06, after becoming somewhat aggravated with the fourth (in three years) Win XP security patch-caused catastrophic crash, I began my Linux Adventure. It started out with Ubuntu, and through many wipes/reformats/installs, ended up at Slackware. It’s been a blast. Another featured blogger here at Lockergnome, Ron Schenone, once reposted a story that I wrote about my first year with Linux. You can read that blog post at The Blade by Ron Schenone. *Note: You can still play Zork online HERE. Also, there are some ported versions that you can download and play in MS Windows and Mac, too. Have fun! Don’t forget to order the pizza! This article was originally published on my Nocturnal Slacker | Lockergnome blog. You can click HERE to read it there along with the original comments. What is ericsbane? Well, that’s what I name some of my computers. I also have ericslaptop01 and ericsshop01 and 02. What a strange name this ericsbane thing. Where’d that come from? you might be wondering. The definition of bane is a person or thing that ruins or destroys or the name of a deadly poison. HA! Both are accurate sometimes when it comes to my computering hobby. Computers can be my bane, but I love ’em, anyway. As some of you may know from reading here and here, I have been having some hardware issues with my main system. And as a sidebar to this, I’ve also been trying to put together a system for my shop. Well, it’s finally all come together. What a nightmare it’s been. Of course, if I had money to burn, this wouldn’t have been an issue at all. Unfortunately, money is very tight right now. We won’t even go into that. So, what happened this weekend? I woke up Saturday morning jonesing to play one of my vid games on my system. S.T.A.L.K.E.R., Far Cry, Deus Ex, anything. I just wanted to frag stuff. Know what I mean? I haven’t been able to play any games on my main system due to issues with a bad PCIe socket, which has forced me to use crappy onboard graphics. Hmm… can’t play many games these days with a 2900fps framerate. I made the mistake of going to the local CompUSA (Tiger Direct) store after seeing a really decent mobo/micro bundle advertised online. Hmm… I had spent a few bucks recently on a replacement mobo from them, but it didn’t work out, so I was given a refund. I figured that money was already spent. I had it set aside for a rainy day. Well, that day was Saturday. I went to the CompUSA and got myself a mobo/micro combo. So much gooder! I can play games again! I can shoot and frag away my frustrations. It’s better than religion, I’m telling you. Woo-hoo! Oh, and as a by-product of this adventure, I also was able to salvage ericsbane04. I slapped the guts of that system into another box and changed its name to ericsshop02. It’s loaded with Slackware current and is sitting on the bench outside in my shop. I put ericsshop01 on the shelf as a backup system. We are just on a roll here, huh? I have 99.9% of the kinks worked out of the new ericsbane05. There are always issues when you install pre-existing operating systems onto new hardware. There are issues with drivers, disk nomenclature, sensor daemons, GRUB, etc. I’ve got them all squared away but one, I think. I’m having a minor issue with Arch’s GRUB, the bootloader for my entire system (numerous operating systems installed). It has incorrectly mapped the hard drives. I’m working on it, though. That, friends, is how I spent the last three days of my life. Bane, indeed. See what I mean? 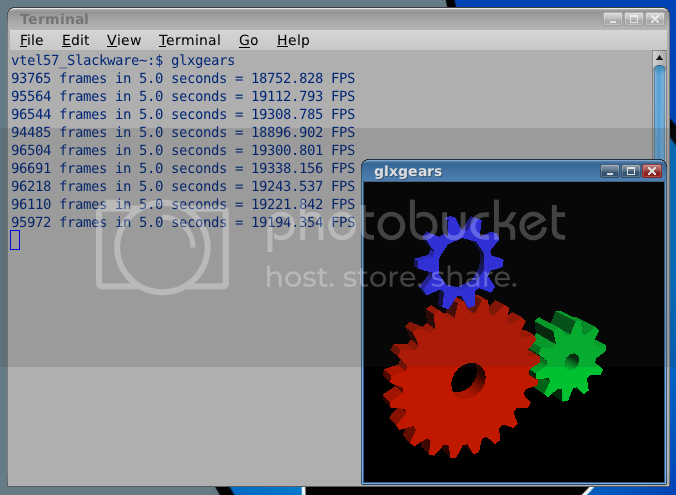 ~Eric, the happy 19000fps framerate, fraggin’ Slacker!